The cake was fun, it’s not often you get to try your hand at a calligraphic challenge in frosting! Congrats to Ben! I hope he enjoys his time there. 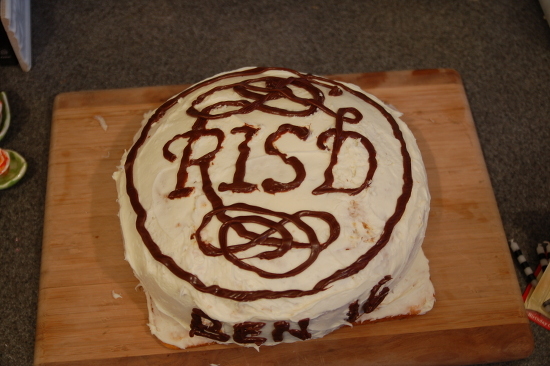 Nice work on the cake too... that's an impressive replication.